July 2015 Update: Update: Desitraveler Prasad NP, who was official blogger for this event, confirmed that this time Mercedes Benz is taking care of tax liability and winners won’t have to shell out lakhs. If this is true then probably what Hrish experienced was an one off incident where MB hadn’t planned well about the taxation part. Best wishes to winners of Frame the Star contest. Mercedes Benz, along with Overdrive and Better Photography, is running a photo contest, called Frame the Star contest, in which winner is said to get to keep a CLA class for one full year. The contest involves participants submitting their photos online in first phase and subsequently if they qualify for further rounds, get to drive around in a CLA class and shoot it, go for a road trip with CLA class and ultimately, one final winner will get to keep CLA Class for one full year. This contest sounds interesting and is a good way to test your photography skills. If you can clear initial rounds and reach till final phase, that itself is an achievement (as it proves you’re a better photographer) than rest of the participants, irrespective of the prize. But there is one catch about the final prize, that is not declared anywhere, not even in terms and conditions. So this post is to warn you about the same and help you enter the contest with right expectations. 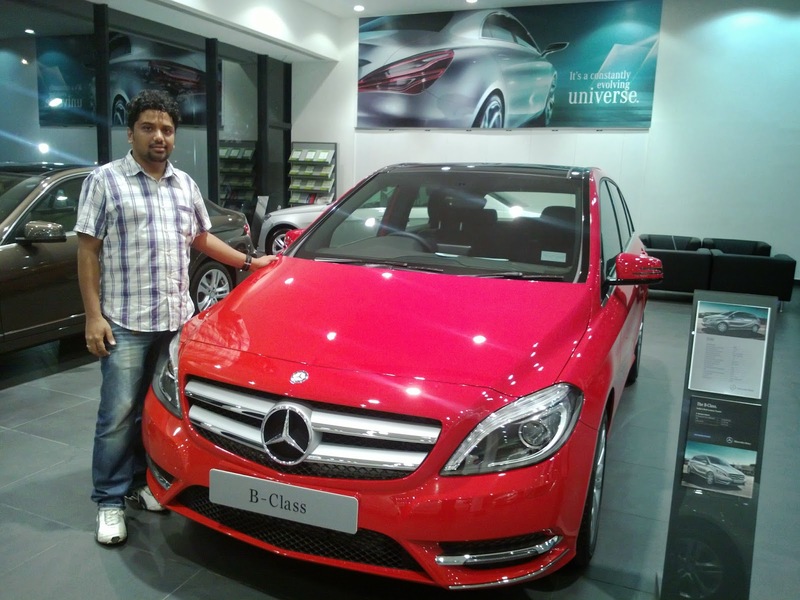 Would you spend 5 lakh rupees to keep a Mercedes Benz for an year? Does it make sense? If that amount is to own the car forever, then yes. But this is just to use the car for an year and then return to Mercedes Benz. For 3-5 lakhs, you can buy a small car and keep it with you forever. Mercedes Benz is also available for self-drive rentals, at about Rs 6000 a day (avg. Varies by operator, weekday/weekend, model, duration etc). Zoomcar has A Class, CLA Class, GLA class for 4000-6000 Rs a day (longer the duration, lower the rental), Carzonrent has C and E Class (old cars) on self-drive rentals. So in 5 lakh rupees, one can rent these cars for about 85 days- which is almost every weekend or one fourth of an year. (You won’t need the car for every day of the year- you can rent them on need basis). Few years ago, Mercedes Benz ran a similar contest to promote its B Class, wherein winner had a road trip to Kashmir with Rahul Bose in a B Class and was supposed to keep the B Class for an year. That winner was none other than our Hrish Thota (Dhempe), but as he was asked to pay 3 lakh rupees in lease tax, he opted not to pay and not to take the car for an year. As in current contest, this clause is never communicated anywhere and brought up only in the last minute only to the winner. For a company like Mercedes Benz that spends several crores on advertising and marketing, footing tax bill for the winner’s lease amount is no big deal. But I feel MB is cleverly using this as a tactic to avoid giving cars to winners, after squeezing all possible publicity from them throughout the contest. The least they can do it call out this clause in terms and condition for the contest, so that people enter it with right expectations. In the past, Mercedes has conducted few other contests as well, one of them is iLiveRestless contest, for GLA Class, won by four people, who got to keep the car for 3 months and were also expected to pay some amount in tax expenses. I suspect winner of this year’s photo contest will also be subjected to similar ordeal of having to spend several lakhs for a short term joy of keeping the luxury car for an year. I will be happy to correct this post if Mercedes Benz can acknowledge that there are no such tricks and winners won’t have to spend a rupee to keep the car for an year. Nevertheless, you need to worry about lease tax amount only if you clear initial rounds and reach final round of this CLA class better photography contest. There’s no entry fee and not much effort is involved in initial rounds. So feel free to give the contest a try if you feel like. It is open till 25th May. When Ferrari gifted Sachin Tendulkar a Ferrari, Govt wanted taxes and Ferrari paid the tax on behalf of Sachin. There is no rule that winner himself/herself must pay the tax. Read this post to know more about luxury car lease schemes. Read this to find out why you don’t need to rob a bank if you want to drive a Mercedes Benz. You might get a road trip to somewhere sponsored by Merc- if you think that is reward enough. There is no might-either they do or they dont ,no use doing all the hardwork and finally get to know you only get a take a snap in front of the car. In the hope that they might be gracious that they "might" give something is something not ethical according to me.